How Can We Get Involved? Our Programs and Projects Inform, Inspire, and Make a Difference! 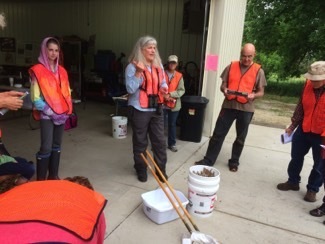 LSRWA’s programs and projects provide opportunities for people to come together to learn about and enjoy the watershed. By engaging the public in data collection, hands-on conservation projects, and open forums, we encourage citizens to practice good stewardship, enhancing the quality of life for all who live, work, and play here. Together, we can celebrate all that our watershed home has to offer while identifying and applying solutions to our most pressing resource and water supply issues. Please share your watershed questions, ideas, concerns, stories and photos. Your thoughts matter to us! See the entire LSRWA watershed on our large map, or the sub-watershed in your backyard. Find links to local river updates, area recreation guides, and more! The scientific knowledge & understanding of watersheds, and how critical they are to the future of our natural and human communities is always evolving. Our resources section will continue to evolve, too—check back often! Browse our ever-expanding photo albums to learn more about life in the watershed, our active programs, and ongoing restoration projects. We are grateful to our area photographers for their time and talents!